Japanese and English are two very different languages. This is hardly surprising as they are both islands on the opposite sides of the world. 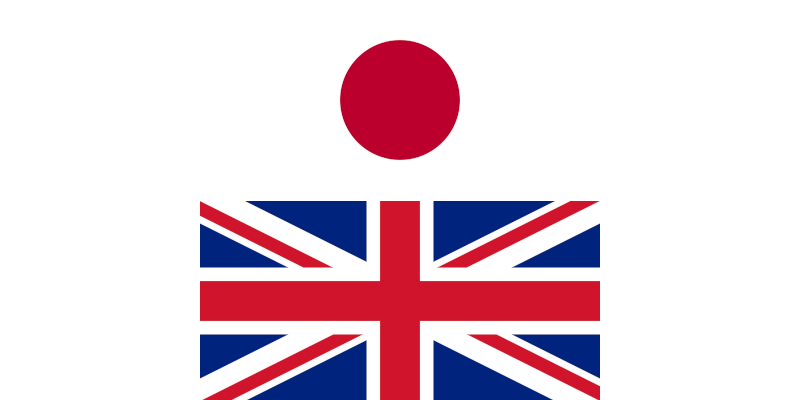 Whereas England has its influences with other European languages, Japanese has evolved in a very isolated way and so is not only very different from English but also most other languages in the world. Going from Japanese to English is relatively easier (than other aspects of language learning). Instead of 3 separate “alphabets” (hiragana, katana & kanji) there is now only one. The English alphabet only has 26 letters to learn (52 if you include capital letters). This is considerably smaller than the 46 needed for hiragana, 46 for Katakana as well as the 2200+ Kanji needed to be considered literate in Japanese! This is where things get quite tricky. The sounds in Japanese and English can be quite different, sure. This, however isn’t the reason why it’s difficult for learners to transition from Japanese to English. The difficulty lies in the fact that Japanese has a comparatively limited number of sounds that can be made. When attempting a foreign language (such as English) it can be difficult to make these new sounds. This can be seen in loan words in Japanese, some of which can sounds completely different to non-Japanese! The grammar in English is very different to Japanese. In some ways some could argue that English is simpler as it doesn’t use particles, honorific language etc however, English has its own quirks. The main hurdle to get around is the sentence structure. In Japanese the order of a sentence is SOV (Subject -> Object -> Verb). which is very different to English’s SVO (Subject-> Verb -> Object). English Subject Verb Object I like cars. Japanese Subject Object Verb I cars like. As well as this, certain concepts are expressed differently. For example in English we express the concept of ‘want’ as a verb ‘I want a car’. In Japanese this is expressed as an adjective ‘車が欲しいです’ (the car is desirable). It’s little changes like this as well as cultural differences that can make it difficult going from Japanese to English rather than going from say Spanish to English. As well as being a learner of Japanese, I teach English (and have had a number of Japanese students). Here are some of the most common problems I come across with Japanese students. R/L – This area is difficult for many Japanese learners. The reason being that in Japanese there is only one sound that sounds similar to both the English ‘r’ & ‘l’. This sound isn’t an English ‘r’ or an English ‘l’ but is a sound that is somewhere in the middle. Due to this, when Japanese learners see a word with an ‘r’ or an ‘l’ in it then they naturally try to reproduce it using their own sound. It usually takes a lot of practise to not only learn how to make the sound but also to make the habit of pronouncing it correctly every time. After learning the sound it can be useful for learners to use tongue-twisters on a regular basis (if not using English too often). Consonant clusters – In Japanese, consonant clusters just don’t exist. All consonant sounds are followed by a vowel (except for ‘n’ which is the exception). This can make it very interesting when going from Japanese to English. The natural instinct of a Japanese learner is to add in these vowels e.g ‘text’ might be pronounced as the Japanese loanword ‘tekisuto’. The best thing to do is practise these sounds slowly and gradually speed up the gap between the consonants. Here is a list of words to practise consonant clusters. Dropping ‘s’ – This is something that happens with learners from a lot of languages, not just Japanese. In English it is important to pronounce the ‘s’ sound at the end of a plural word (e.g cats). This is to differentiate it from the singular form. Although people will know what you mean, missing off your ‘s’ from plurals is a big giveaway you aren’t a native speaker. Get this area fixed and improve your speaking ability dramatically! Vowels – In Japanese there are 5 vowels. These vowels sound the same in every word. In English there are 5 written vowels yes. However, when it comes to pronunciation there are a number more than that. In Japanese loanwords these English vowels are usually approximated to one of the 5 Japanese vowels. It can be a bit tricky trying to hear the subtleties of the different vowels in English when you have been used to these 5 distinct sounds. Diphthongs – On the subject of vowels we need to bring up diphthongs. A diphthong is when you go from one vowel sound to another (in the same syllable). For example in English the vowel in the word ‘no’ starts with one vowel and glides into another (you can tell this because the lips move when making the sound). In Japanese however, there are no diphthongs. Every vowel has it’s own syllable. To approximate foreign sounds, diphthongs are broken up into their individual vowel sounds. This is a similar problem to the consonant clusters and the way to train this area is to start slow and gradually reduce the gap between each vowel until it sounds faster and more natural. Translating from Japanese to English can be tricky. If it’s a simple thing like a single word or a short, common phrase then no problem, just pick up a translation dictionary or app. However, more complicated sentences can end up with some very “interesting” translations when using something like google translate. These translations can be close but can sound very awkward (this awkwardness is known to some as “translationese”). The best thing to do if you can’t translate a sentence yourself is to find someone who can. There are plenty of language exchange apps and websites such as hinative where you can get a native speaker to give you a natural way of expressing something. Although it can be difficult for a native Japanese speaker to transition to English there are plenty of rewards. These benefits include being able to travel more easily, conduct business with people outside of Japan as well as watching foreign movies / tv shows without subtitles / dubs.